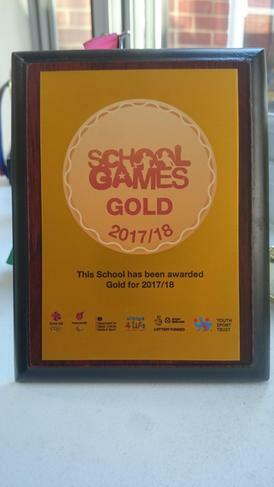 We are delighted to announce that we have been awarded a gold award for our PE provision for the year 2017/18. This is a huge testament to the hard work put in by a range of staff in the school to allow for excellent PE teaching alongside a focus on expanding the children's knowledge and understanding of how to live and exercise healthily. We have been able to take numerous groups of children out of school to compete against other schools in a range of different sports. It is a testament to the spirit that these children have shown during these events that we have not only continued, but expanded the amounts of events, taking our talented athletes to these events.